Geoff Tansey will open an evening discussion on food, power and poverty with an illustrated talk drawing on his recent visits to China. There will also be an opportunity for those attending to discuss their thoughts on the newly established Fabian Commission on Food and Poverty in the UK, which Geoff is chairing. Geoff Tansey is a local writer and consultant – see http://www.tansey.org.uk/. You may also want to have a look at http://www.foodsystemsacademy.org.uk/. Some time ago BEAT had Geoff speaking at a public meeting in Heptonstall, which was attended by 57 people. We all need food, so most of us are interested in what we eat, where it comes from and how it is produced. An increasing number of people in Blackshaw Parish are growing some of their own food, for example in their gardens or with the Charlestown Allotment Group. Some of that produce is sold at the Great Rock Coop - see www.greatrockcoop.co.uk/home.html. Geoff Tansey’s talk will be followed by a Q&A session and a short BEAT AGM – see elsewhere in this newsletter. 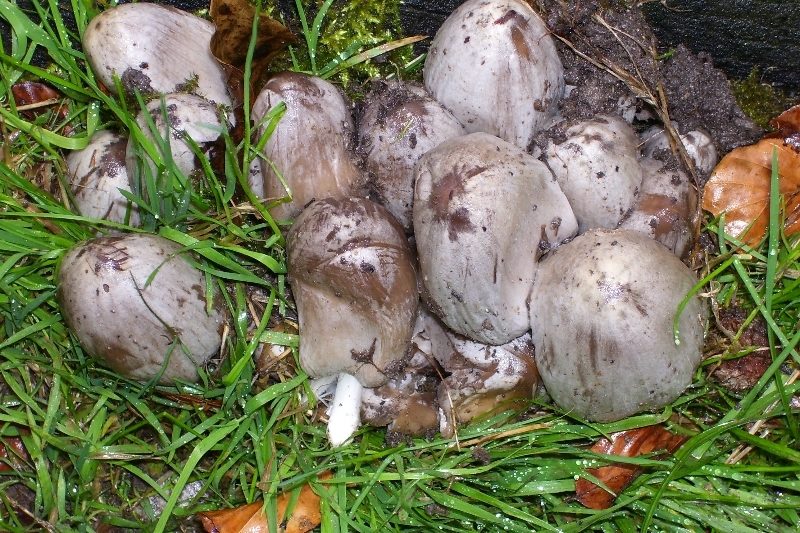 Despite the rain 19 people turned out on 4 October for the walk to see fungi. We went from Clough Hole at Widdop Road to Gibson Mill and along the river, with Alison and Steve explaining the many sorts of fungi we saw on the way – only interrupted by a lunch at the café at Gibson Mill. The pictures are from this walk. 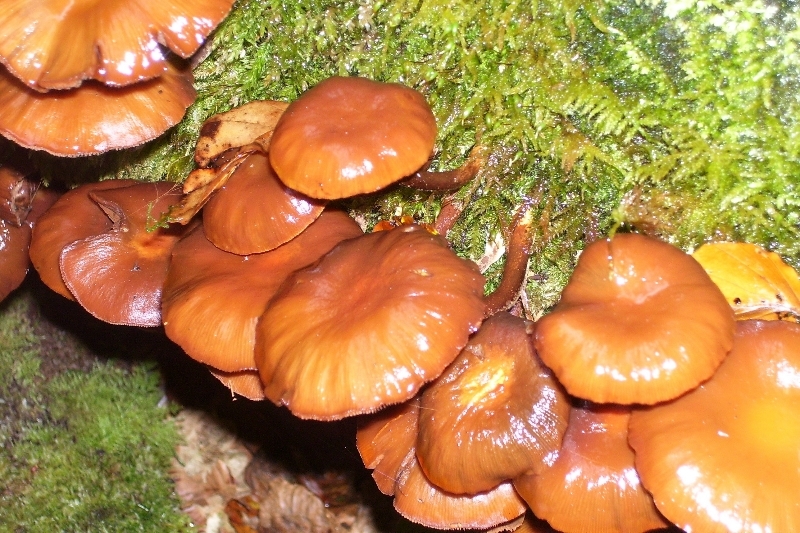 Alison explained that due to this year’s dry summer, not all the fungi had emerged, and that there would be a burst of them in November if we had enough damp weather. 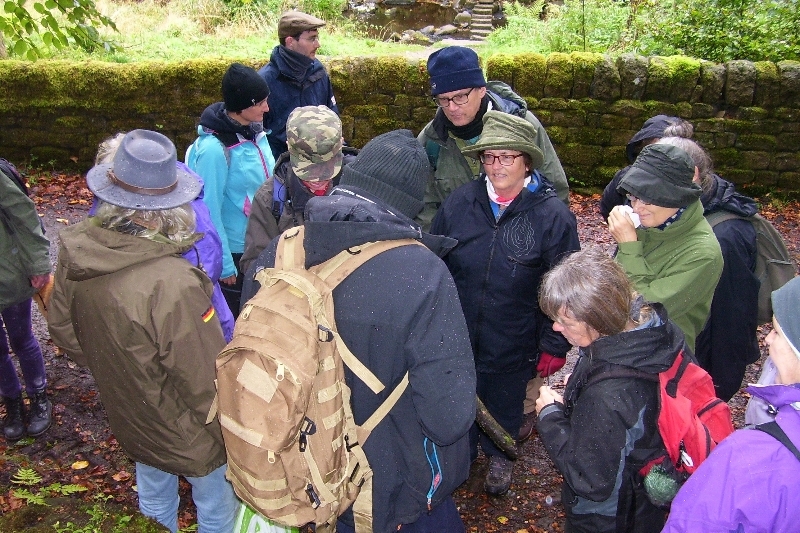 Alison and Steve were so knowledgeable and interesting that everyone was keen to have a second walk in November. This will be on Saturday 15th November at 10.30am. We will meet at Midgehole car park and we shall have a look at Crimsworth Dean. Bring a packed lunch or some snacks. Children are very welcome – we will be walking at a slow pace. 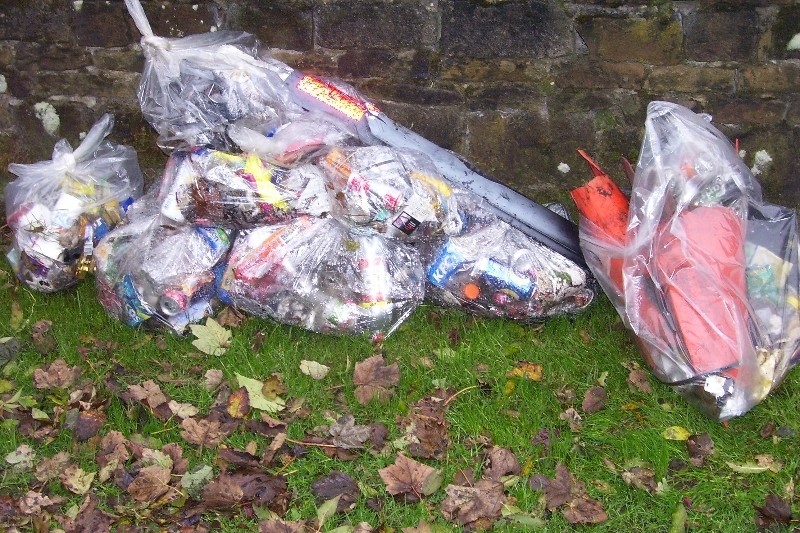 The six-monthly village clean-up went well on 18 October. 20 people helped at different times for an hour or two. 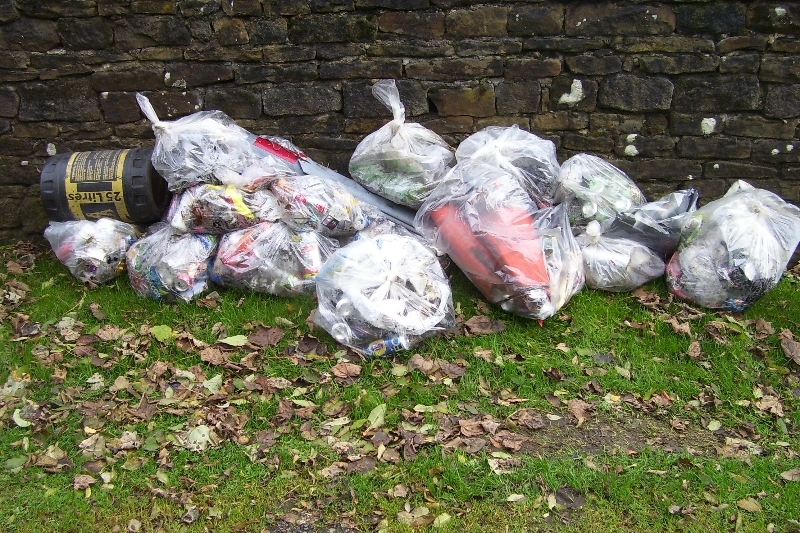 We have done these village clean-ups for 14 years and each time we collect a lot of rubbish. Many thanks to everyone who participated and special thanks to Phil Knowles for organising it, to Dorothy Sutcliffe & Phil/Edith for providing the refreshments afterwards and to the Chapel for letting us use the building as HQ for the day. Do you want a free beehive? BEAT’s public meeting on 25 September was about bees. Three people came from Bee Friendly Collective Todmorden, a local beekeeping group – see bee-credible-bees.blogspot.co.uk. The group owns all their beehives collectively, which means that members of the group can go on holiday and so on, knowing that other members of the group will look after the bees. The group is always looking out for suitable places to put new beehives. If you own a piece of land that you would be willing to have a beehive on, they would be pleased to hear from you. You do not have to do any work in relation to the bees, and you do not have to be a member of the Collective. They will look after the bees on your land. If you are interested just email bee.credible.bees@gmail.com. Bee Friendly Collective Todmorden meets at Bare Arts Todmorden on the first Thursday of each month and anyone interested in becoming a member is welcome to join them. The group also runs training courses and mentors people who wish to start up new groups on similar lines. Donations to BEAT via localgiving.com have in the past been used to support Charlestown Allotments, Great Rock Coop, the six-monthly village clean-ups, creating two community orchards, photocopying our newsletter, creating a website and hiring the Chapel for public meetings. Your donations enable BEAT to continue these community activities. On 14 October LocalGiving.com began doubling up donations to local community groups, including BEAT. They have £500,000 to give away. If you are a tax payer you can Gift Aid your donation and increase the value of the matched donation from LocalGiving.com by a further 25%. Community Foundation for Calderdale, cffc, has put an extra £7,000 into the pot for local groups in Calderdale. If you want to give more than £10 to BEAT we recommend that you set up a direct debit for a monthly donation of up to £10. In this way a donation of up to £60 can be doubled up. If you make a one-off donation of, for example, £60, only the first £10 will be doubled up. You can of course cancel any direct debit to BEAT when you have given the amount you want. Remember to Gift Aid each donation if you are a tax payer. That way a £10 donation to BEAT via LocalGiving.com becomes a donation of £21.55 to BEAT. You can make your donation by using this link: localgiving.com/charity/beat. If you prefer, you can give a cash donation to one of the BEAT officers who will send your money to Localgiving.com. BEAT’s website www.blackshawbeat.info now includes a link to BEAT's Facebook page at the top left-hand side of the homepage. Click on 'BEAT' (https://www.facebook.com/BlackshawBEAT) to go to BEAT’s Facebook page and on 'Follow' if you want to receive updates via BEAT's Facebook page. At the bottom of each page on the BEAT website you will also see a box where you can sign up to receive our newsletter. We have now installed a spam filter as we were getting thousands of spam emails signing up, so that we were not able to use this mailing list to send out our newsletter. If you have signed up in the past, you may be wondering why you have not received the newsletter. Please sign up again if you have not already received the newsletter. You can of course unsubscribe at any time. Many thanks to Tom for doing this work. The BEAT newsletter, UpBEAT, gives a pretty good idea what BEAT has been doing for the last year. As usual we have the village clean-ups every April and October. We have done work on our two community orchards, held public meetings and organised a walk. We receive donations at these events that we send to Localgiving.com. This has enabled us to help Charlestown Allotments, Great Rock Coop, Colden School, etc. Our website has been developed and our newsletter is now in a new format. BEAT is a member of various networks and has a representative on the panel of Calderdale’s Energy Future, which has representatives from the public, private and voluntary sectors. Peter Bradley will be stepping down from the BEAT committee at the AGM. We hope new people will be interested in having a go. If you would like to talk to one of the BEAT committee members before you make up your mind, please contact Ashley Sharp, Paul Willson or Finn Jensen, the other members of the committee. August 19 is Earth Overshoot Day 2014, the approximate date humanity’s annual demand on nature exceeds what the Earth can renew this year. In less than 8 months, we have demanded an amount of ecological resources and services equivalent to what Earth can regenerate for all of 2014. On Earth Overshoot Day, humanity has exhausted nature’s budget for the year. For the rest of the year, we are drawing down our ecological assets. Ecological deficit spending is made possible by depleting stocks of fish, trees and other resources, and accumulating waste such as carbon dioxide in the atmosphere and oceans. Currently, the carbon Footprint is the largest portion of humanity’s Footprint – a result of emitting greenhouse gases faster than they can be absorbed by forests and oceans – and contributes significantly to humanity’s ecological overspending. 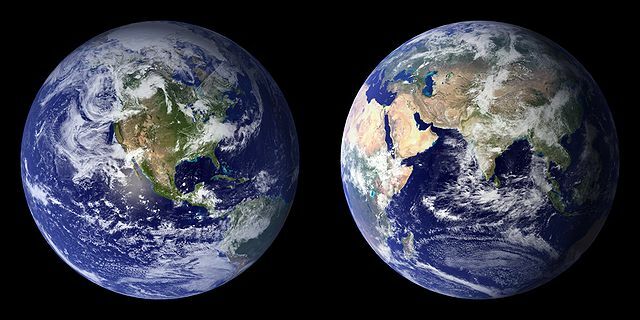 According to Global Footprint Network’s calculations, it would take more than 1.5 Earths to provide the biocapacity needed to support humanity’s current Ecological Footprint. Moderate population, energy and food projections suggest that humanity would require the biocapacity of three planets well before mid-century. This may be physically unfeasible. Today, 86 percent of the world population lives in countries that demand more from nature than their own ecosystems can renew. These ‘ecological debtor’ countries either deplete their own ecological resources or get them from elsewhere. Were Japan’s residents to consume ecological resources and services solely from within their country’s borders, they would demand 7 Japans. In other words, Japan’s Footprint is 7 times larger than its biocapacity. Similarly, it would take 4.3 Switzerlands to support Switzerland and 2.7 Egypts to support Egypt. Not all countries demand more than their ecosystems can provide, but even the reserves of such ‘ecological creditor’ nations like Brazil, Indonesia, and Sweden are shrinking over time. For these countries, the main challenge is to treat their natural assets as ever-more significant sources of wealth to be preserved and nurtured over the long term, as opposed to riches to be squandered for short-term profits. 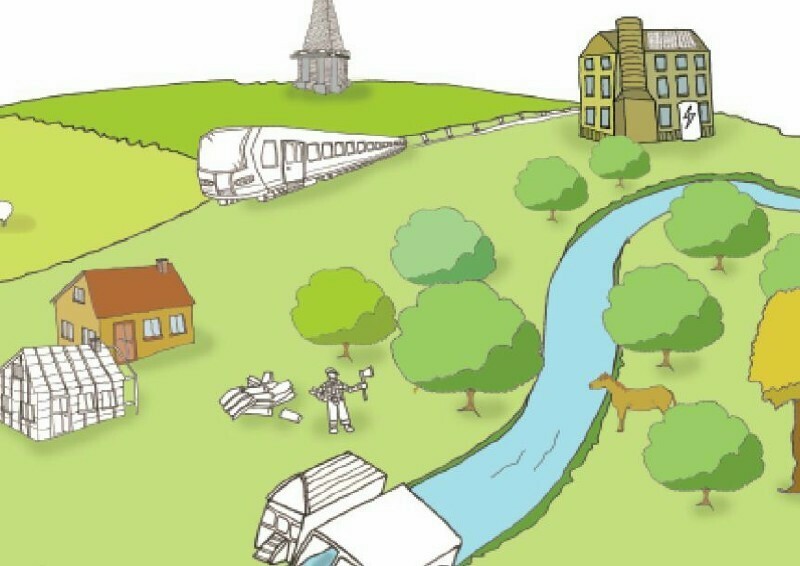 Calderdale Community Energy (CCE) is a cooperative company acting as a catalyst to create new community-owned renewable energy generation across the Borough. Renewable energy (RE) from wind, water, sun and biofuels stands at 5.2% of energy consumed in the UK (Government figures for 2013) and is rapidly rising. 2013 saw a 30% increase in renewable electricity generation from 2012. Community-owned RE schemes are a vital part of this growth. Why is Community Renewable Energy generation important? CCE will recoup initial develop costs from projects to reinvest in further community energy schemes. George Monbiot: Feral – rewilding the land, sea and human life, Penguin, £8.99, 317 pages. George Monbiot is perhaps best known for his columns in the Guardian newspaper, although he has written several popular books and is also a high-profile activist in the environmental movement. He visited Hebden Bridge this summer and spoke to a packed audience at Hope Church about his latest book, Feral. 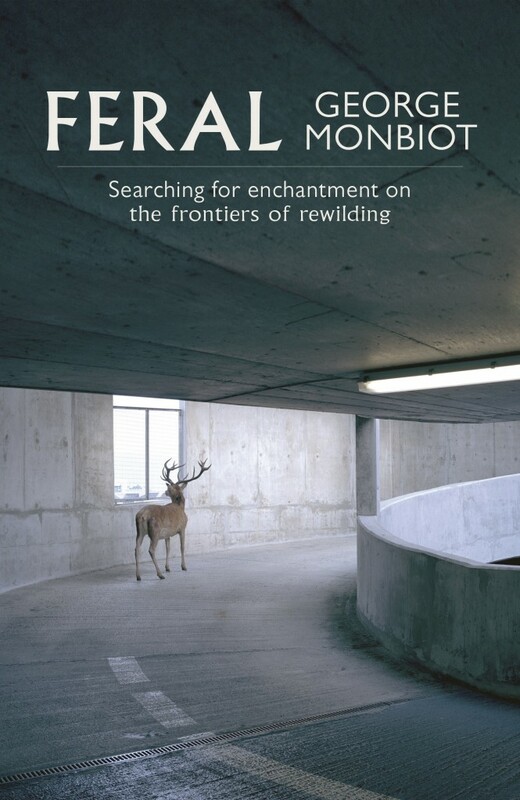 Feral is a collection of essays on the theme of rewilding of our countryside. Monbiot studied as a zoologist and worked for a few years for BBC’s nature department. He also worked for several years in the Amazon rainforest, in Africa and Asia and uses examples from this work in his book. His breadth of knowledge of nature and wildlife is amazing. Monbiot makes the valid point that the UK has comparatively less land set aside for nature to show its wonders than other European countries. For example the UK has very small area covered by forests. This is not because the UK is more densely populated than other European countries. The UK has large numbers of big landowners, many of whom want to use their land for hunting pursuits such as grouse shooting, not least because of the public subsidies available to landowners who maintain a landscape suitable for grouse shooting. Similarly, Monbiot singles out sheep farming as a major reason for why we have so few trees, because sheep eat the new trees. Again, public subsidies keep hill sheep farming alive. Monbiot argues that sheep farmers should be given the choice between rearing sheep and leaving the fields to regrow with trees naturally, without losing out financially. Although Monbiot gives examples of local communities abroad that have rewilded their land and now earn more from tourism, this would not necessarily be possible in all areas that could be rewilded. Healthy and diverse forests are essential to create an environment with a rich biodiversity. 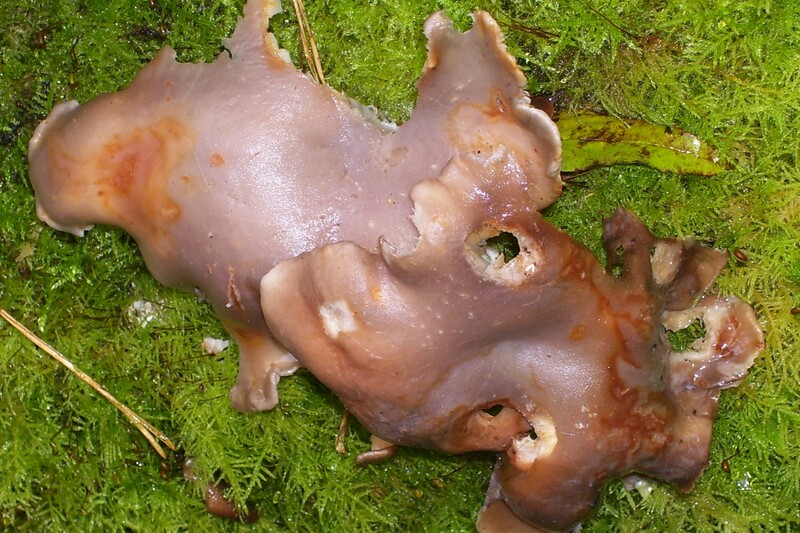 It will – according to Monbiot – be necessary to reintroduce some animal species into such forests, partly to stop deer from eating re-established trees. Monbiot suggests reintroducing wolves and other predators to control the deer population. He would also like to see beavers back in our rivers and explains how the government is preventing this from happening. Once a biodiverse forest has been established it can be left to itself, allowing nature to take it course. Monbiot is very critical of conservation work that tries to keep a landscape in a fixed state. So why does Monbiot want us to rewild large parts of the UK? He explains very honestly that the primary motivation is his fascination with wild nature. For him the human spirit needs to experience wilderness, not just nice gardens and parks. He points out that he could have discussed other reasons too, such as the obesity endemic, particularly among children who play less outside than they used to, and the ecosystem services that forests provide for free, such as cleaning the water, absorbing CO2 emissions and so on. Perhaps Monbiot would get broader support for the rewilding project if he had spelled these out in his book – although to be fair, he has done this in his other writings. It is a matter of building alliances with the different groups of people who will have their own reasons to support rewilding. Feral not only contains some amazing facts about nature, it makes you look at nature in a different way. As is usual in all Monbiot’s writings, everything is referenced to his sources, so you can check his facts and find other interesting material. Copyright © 2014 Blackshaw Environmental Action Team, All rights reserved.